RDO deployment bellow has been done via straightforward RDO Kilo packstack run demonstrates that Storage Node might work as traditional iSCSI Target Server and each Compute Node is actually iSCSI initiator client. This functionality is provided by tuning Cinder && Glance Services running on Storage Node. Notice that Glance,Cinder, Swift Services are not running on Controller. 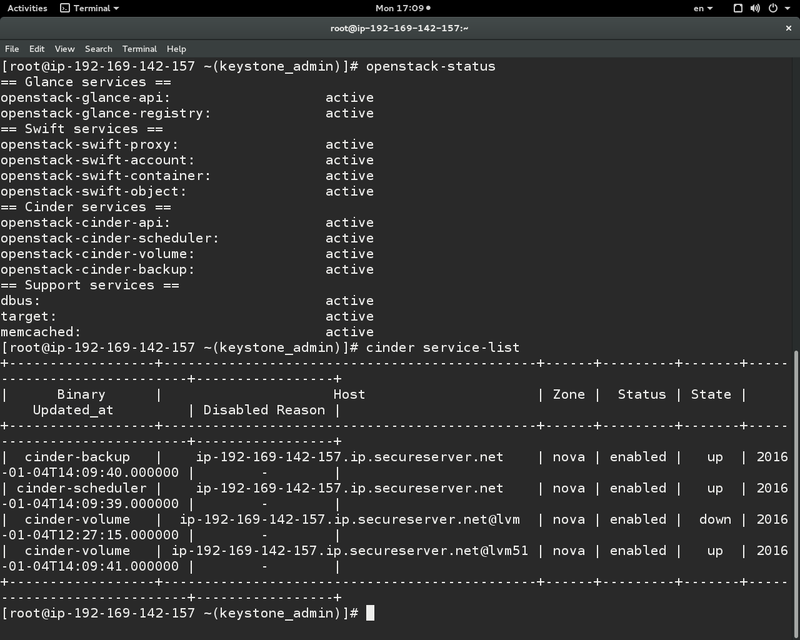 Connection to http://StorageNode-IP:8776/v1/xxxxxx/types will be satisfied as soon as dependencies introduced by https://review.openstack.org/192883 will be satisfied on Storage Node, otherwise it could be done only via second run of RDO Kilo installer, having this port ready to respond on Controller (cinder-api port) previously been set up as first storage node. Thanks to Javier Pena, who did the this troubleshooting in https://bugzilla.redhat.com/show_bug.cgi?id=1234038. Issue has been fixed in RDO Liberty release. You are currently browsing the Xen Virtualization on Linux and Solaris blog archives for January, 2016.